I need to apologize to those of you who’ve been contacting me and asking what happened to this blog. I’ve been super busy and simply don’t have time right now to update. I appreciate you all so much and am glad that you’ve enjoyed the blog. As of right now, it’s on hiatus but I do plan to return sometime soon-ish. In the meantime! You can follow me on my personal blog, OhJoy, which I’m updating frequently with articles I’ve written, trips I’ve taken, and around-the-house projects I’m attempting. I’m also on Twitter every day. I hope you’ll follow me! And never fear. Savvy Housekeeping will return at some point in the future. 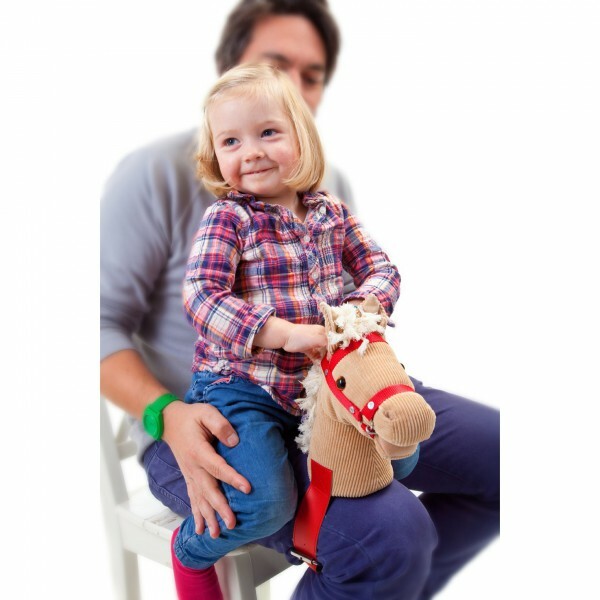 This is kind of fun: Strap This Pony Head To Your Leg. Heh. $38. Speaking of making your own nocino, here’s a cocktail using nocino that I made with DIY Cocktails. 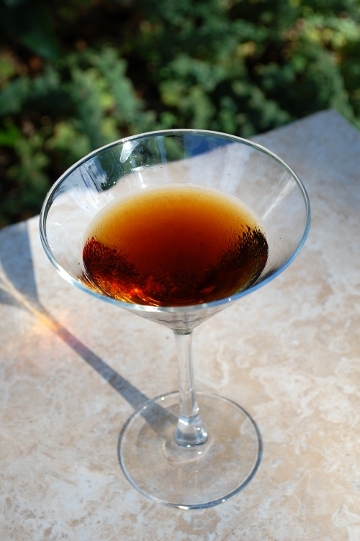 The Black Walnut Manhattan is a traditional Manhattan that uses nocino in place of vermouth. It’s tasty and elegant. Here’s how to make it. Fill a cocktail shaker with ice. Add the bourbon, nocino, and bitters. 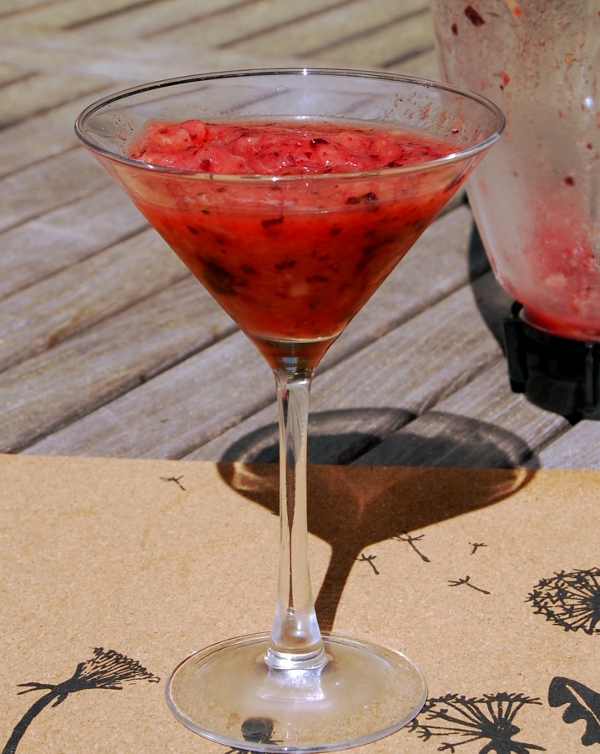 Stir–don’t shake–the ingredients and strain into a glass. Garnish with a cherry if you desire. Enjoy! 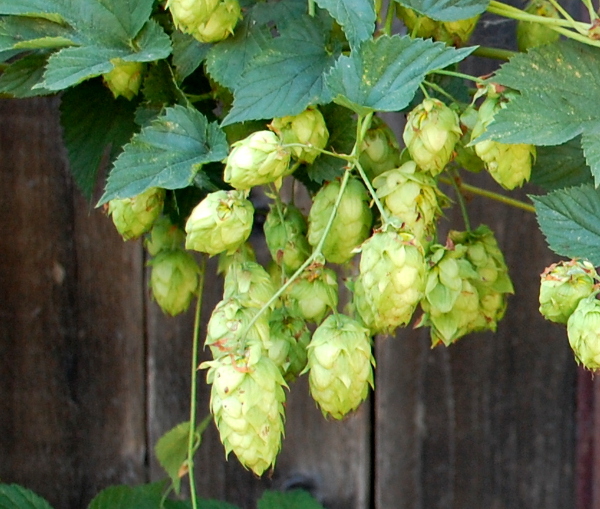 Last year, I Grew My Own Hops. You may be wondering what we did with those hops. Well, we made a Standard English Bitter with them. The below recipe is from the book Brewing Classic Styles, except we changed it based on what malt we could get and the addition of homegrown hops. The resulting beer is great. First of all, it’s low-alcohol, only 3.6%. And it has a lot of flavor and depth for a lighter beer. It has a strong flavor with a hint of fruit and a subtle bitterness. Plus, using fresh hops gave the beer a light, fresh, floral note that was surprising and awesome. I can wait to see what Mr. Savvy Makes with this year’s hops! Want more? 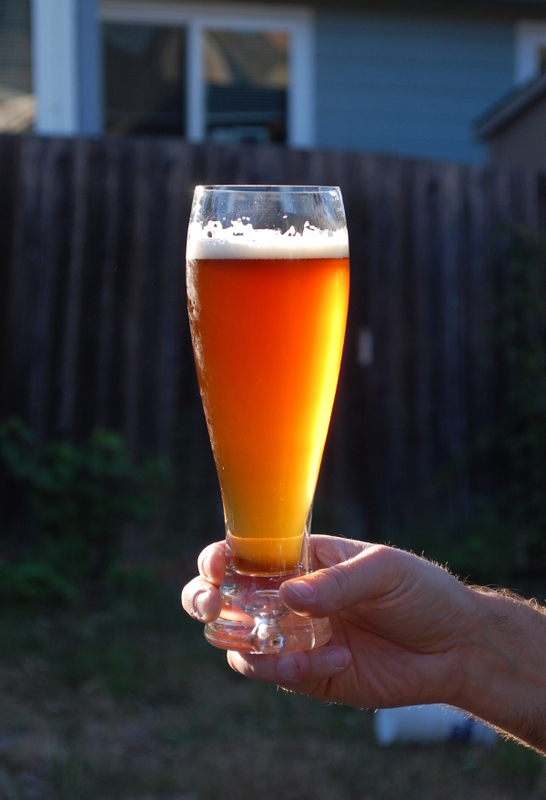 Check out Beer Making Part 1 and Beer Making Part 2. This year, I took a lunch hour to pick some berries from a patch down the road and got a pretty good haul. 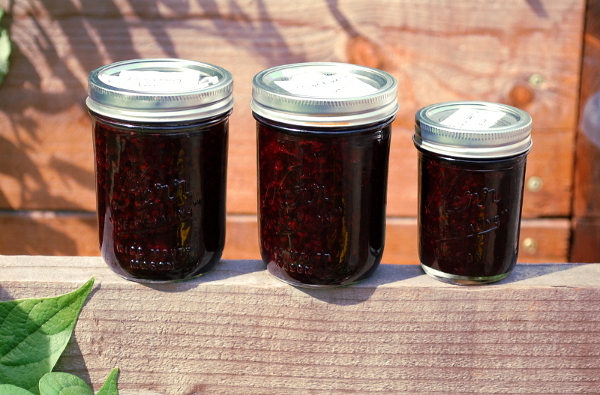 Since Savvy Jr. has been eating a lot of toast, I decided to make jam with it the berries. I made the following recipe, which makes eight 8-ounce jars of jam. Since I got the berries for free and re-used jars, the only things I bought for the jam were the pectin ($3.99) and the sugar ($1.50). That means each jar of jam cost only $.69 to make. My recipe uses 5 cups of sugar. Most jam recipes call for more than that—7 cups of sugar is common, sometimes you even see 10 cups. That might be necessary if you have sour berries (which is often the case with frozen berries or store-bought berries), but that’s way too much sugar for good berries, if you ask me. My idea of jam is summer in a jar. You want it to taste like mashed, sweet fruit, not gelled sugar. I find this recipe works fine with regular pectin, but to make sure it gels nicely, use low-sugar pectin if you have a choice. It acts and tastes like regular pectin—you won’t notice the difference. Sanitize your jars, either with a dishwasher’s sanitize mode or by boiling them for 10 minutes. Wash the lids and rings with soap. Put the jars upside down on a clean towel until you’re ready to use them. 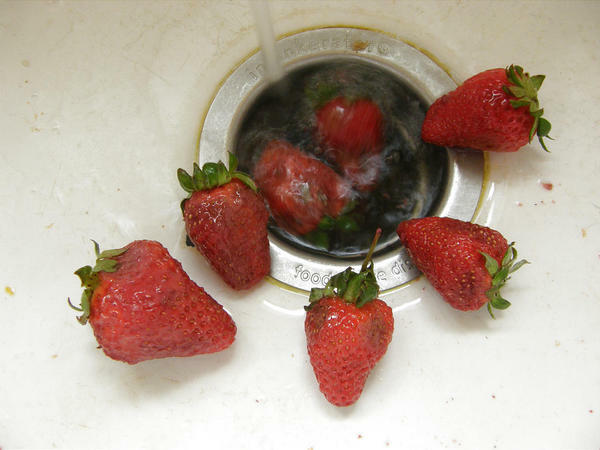 Wash the berries and remove any twigs or debris. Put the berries in a large stainless steel pot. Mash with a potato masher. Add the pectin a little at a time, stirring as you go. Heat the berries on high heat and bring to a full boil. Bring the mixture back to a full boil. Let boil for one minute. Remove from the heat. 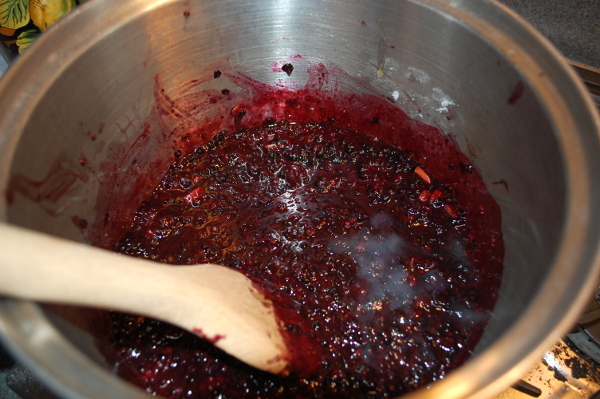 Ladle the hot jam into the jars, leaving about 1/4-inch space at the top. Put on the lid and rings on the jars. Put the jars in a pot and cover completely with water. Bring to a boil and let boil for 10 minutes. Remove the jam from the water and let sit upright on the towel at room temperature for 12 hours. Ta-da! Jam! You can eat it within a day or two after making it. Enjoy! 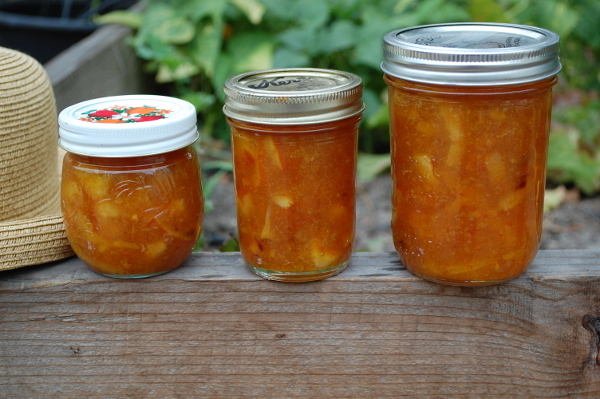 My orange tree is giving me a lot of oranges this year, so I decided to make orange marmalade. I’m pleased with how it came out. Wash the oranges and lemon thoroughly. Cut the oranges into 1/8-inch slices. Remove the seeds. Cut the orange slices up into quarters. Put the oranges in a stainless steel pot. Add the lemon juice and zest. Bring to a boil, which will take about 10 minutes. Once boiling, reduce the heat so that the marmalade is at a rapid simmer. Cook for 40 minutes, stirring periodically so it doesn’t burn. The fruit should be very soft. Put a plate in the freezer. When the 40 minutes are up, bring the marmalade back to a boil. Add the sugar. Carefully taste to see if you like how sweet/bitter the marmalade will be. Adjust accordingly. Stir the mixture continually until the marmalade darkens in color and it reaches 222 degrees F on a candy thermometer. This will take about 15-20 minutes. To test if the marmalade is ready, take out your frozen plate and put a dab of the marmalade on it. If it’s ready, the mixture should be a soft gel that moves when you tilt the plate. If the mixture is thin and runs, it’s not ready. Transfer the marmalade into the jars. Put on the lids and rims. Tighten and wipe away any spillage with a damp cloth. To finish the marmalade, put the jars into boiling water and boil for 10 minutes. Remove from the water and let the cans sit at room temperature for at least 24 hours before opening. Voila! Marmalade. You can store it for up to 6 months. Nocino is an Italian liqueur made from green walnuts. It’s sweet, nutty, and spicy. You can mix it with a cocktail, drink it straight, or pour it over vanilla ice cream for a delicious dessert. 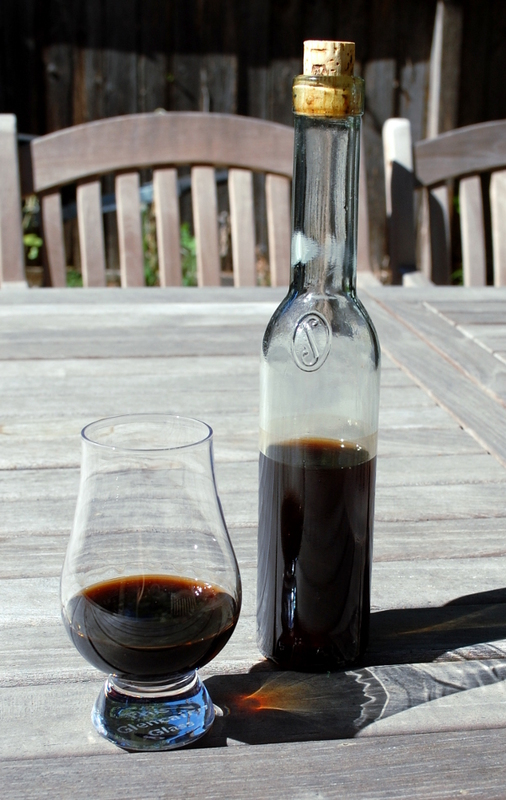 Like most liqueurs, nocino can be pretty pricey. A small bottle (375 ml) starts at about $30. So last summer, I decided to make my own. 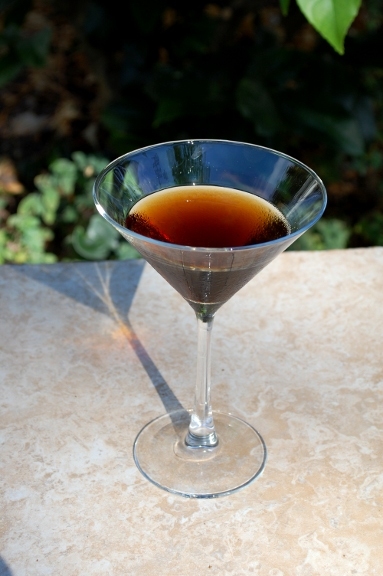 There are lots of recipes for nocino online. They all say to steep green walnuts with a combination of syrup and spices in liquor–either vodka, wine, or a combination of both. I tried several recipes and found that Imbibe’s recipe was the best. It was also the simplest. You steep the walnuts in vodka for 40 days until the concoction turns the color of motor oil. Then you add syrup, let it sit for 40 more days, and you’re done. Once finished, I did a taste test. It was pretty great! 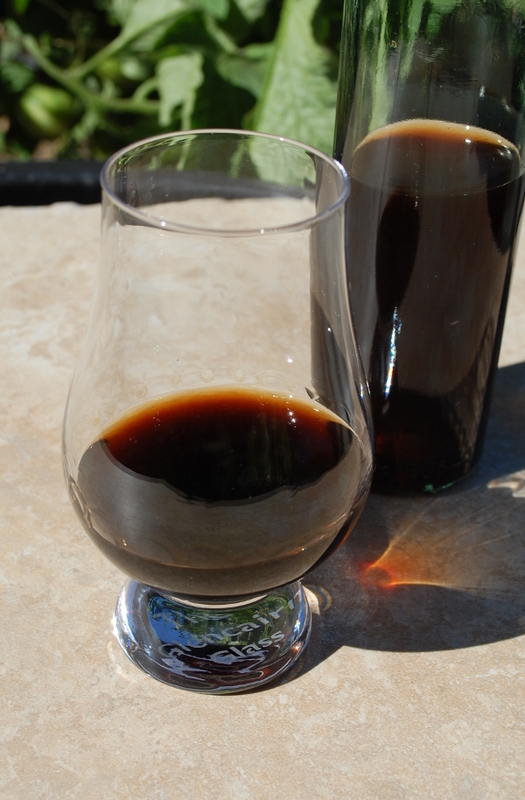 It lacked the depth of the storebought nocino, but it had all the nutty and sweet notes I was looking for. Best of all, my nocino cost a fraction of the price of the one I bought in the store. Just how much cheaper is it to make your own nocino? I used a 750 ml bottle of vodka that cost $12 and about $1 in supplies. The green walnuts were foraged and the lemon was free from my garden. All and all, it came to $13 for twice the amount of nocino that you can buy for $30. That means that a 375 ml bottle of my nocino cost $6.50, where store-bought nocino cost $30. Making my own nocino was 79% cheaper than buying it. Best of all, it was easy. 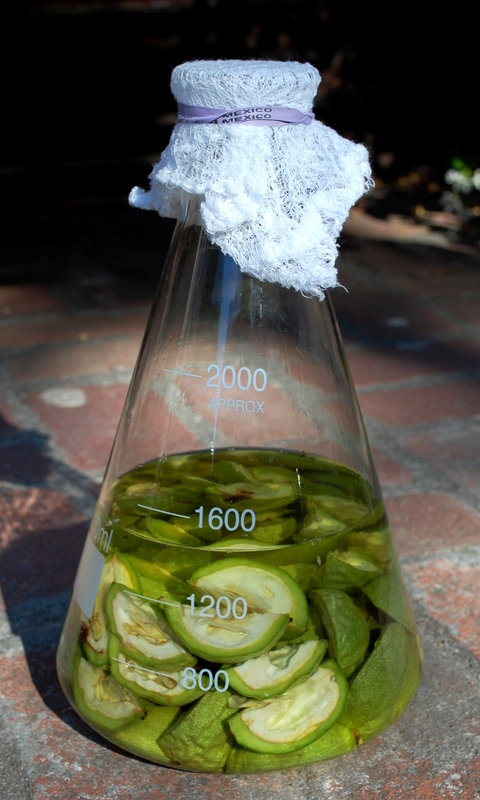 While making nocino takes 80 days, it only takes a few minutes of work. Here’s how to do it. 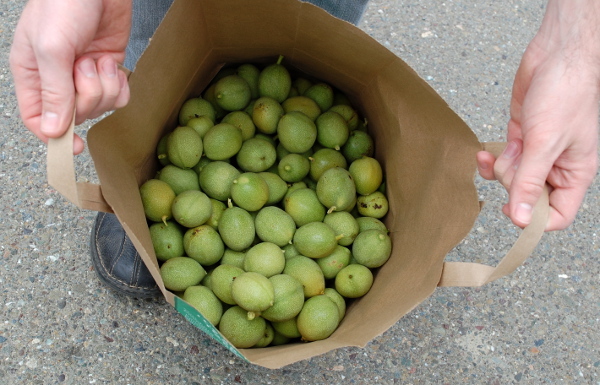 In June-August, pick green walnuts from a tree. If that doesn’t work for you, you can purchase them online. Quarter the green walnuts. Use gloves because the walnuts can stain. Put the green walnuts and lemon zest in the glass jar. Add the vodka. Cover the jar. Put the jar in a dark place and let the liquid steep for 40 days. After that time, the liqueur will be dark brown, but will taste abrasive. It’s time to add the syrup. In the pan, combine water, sugar, and cinnamon stick. Turn on the heat and stir until the sugar dissolves. Cool. Throw out the cinnamon stick. Strain the spent walnuts out of the liqueur. Add the syrup. Cover and let sit for another 40 days. At the end of that time, strain the liqueur through a cheese cloth to get out the bits of walnut and cinnamon. Pour into a glass bottle. Ta-da! You’ve got yourself a delicious, versatile liqueur. It makes a great gift, too. 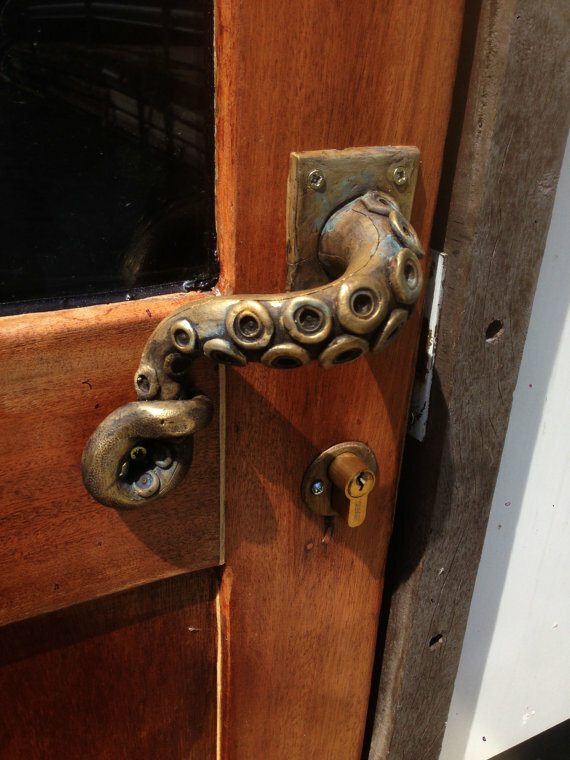 My octopus door handles are 100% home made in Paris, France. I made the mold for these when I needed door handles for my boat. But a lot of people liked it, and this is why I decided to bring a small batch of this item to you. They are made in resin with a charge of brass powder (100g resin, 100g brass). They are brushed, with a hand made patina, and demanded a lot of work for a nice result. Honey Barbecue Plum Cocktail: Grilled plums, bourbon, and honey liqueur. 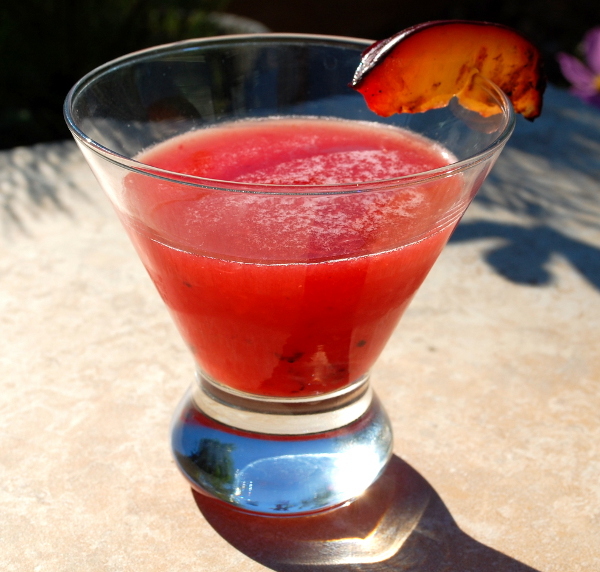 Plum Margarita: Frozen plums, silver tequila, and don’t forget the blender. 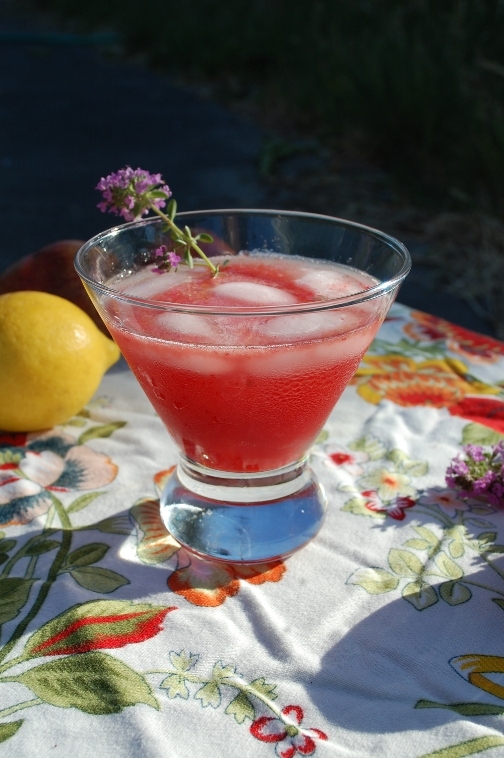 Plum Smash: Plum, whiskey, and a little bit of thyme. I’ve talked about reducing food waste quite a bit on this blog, but it looks like the issue is getting worse. A new study says that Americans waste 40%–almost half!–of their food, according to the Natural Resources Defence Council. An average family of four wastes $2,275 in food each year, or 20 pounds per person per month. Even though my food waste isn’t anywhere near half of my food bill, this is an issue everyone can do better on. I’m already doing better, too. Instead of tossing some old pears today, I put them in the food dehydrator and am making dried pears instead. However, there was no saving that 1/3 of a watermelon that had mold on it. Into the compost it went!